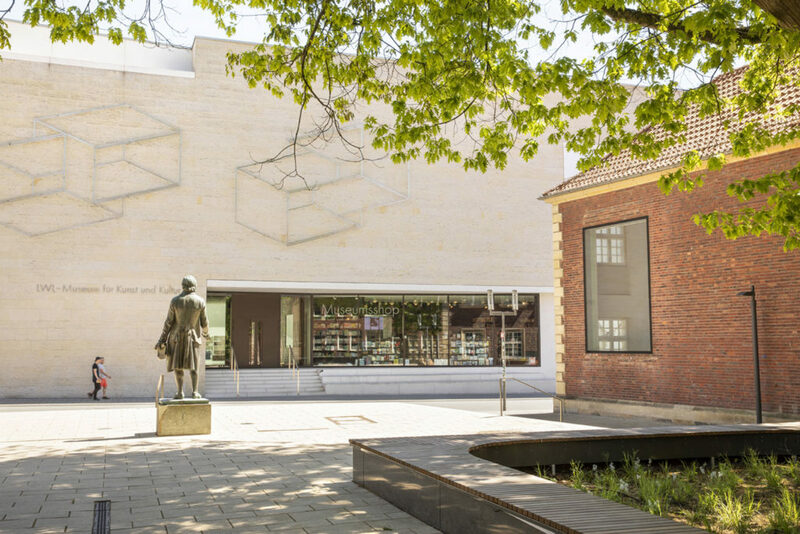 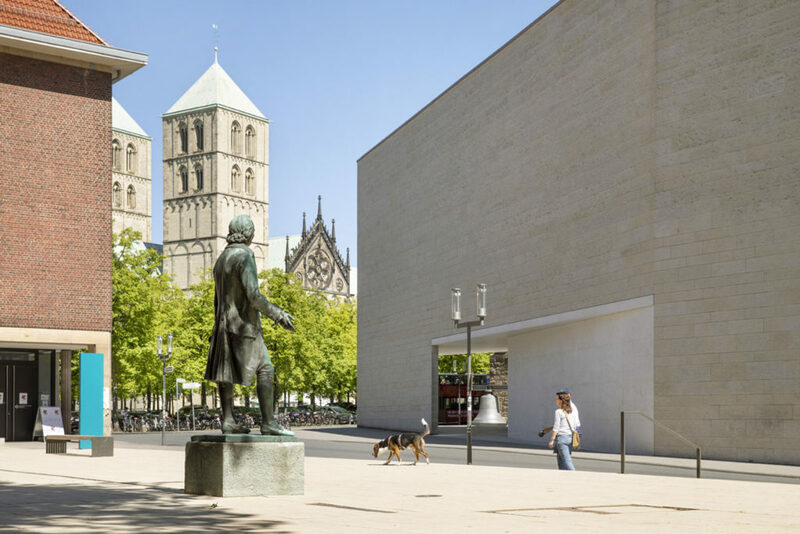 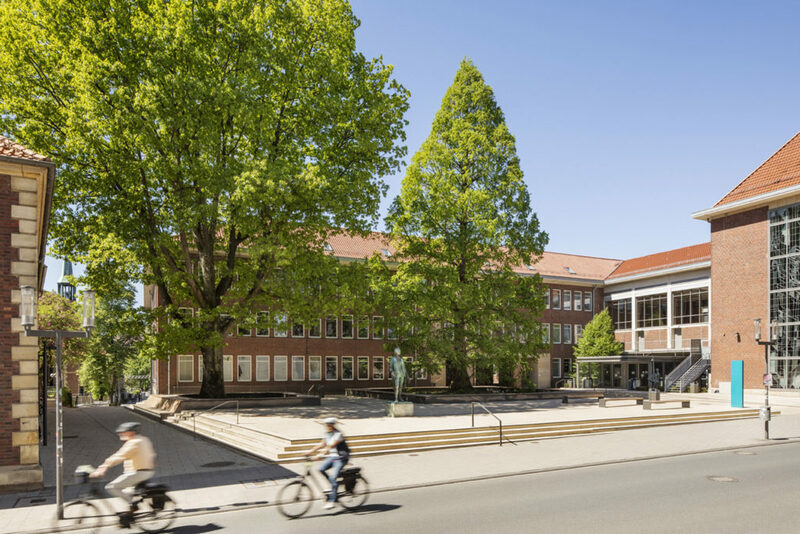 In a prominent location not far from the Cathedral of Münster, opposite the new LWL Museum of Art and Culture, a versatile city square has been created, offering a high quality of stay. 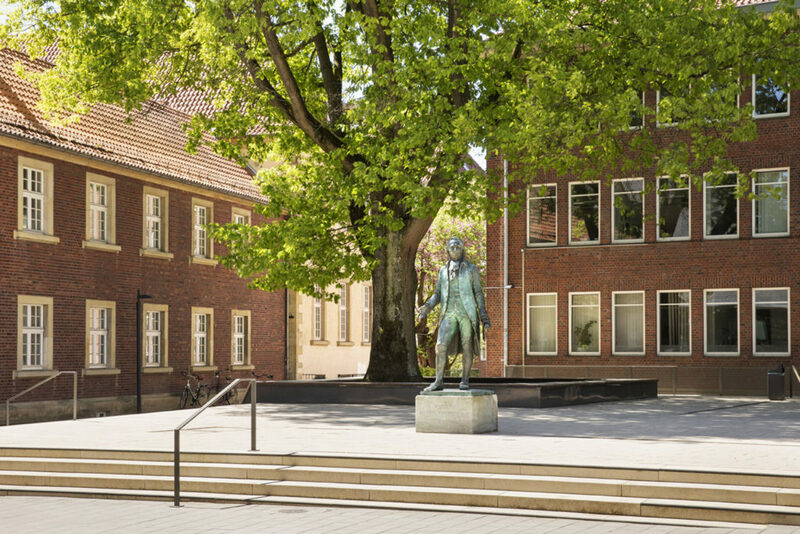 The name of the Fürstenberghaus originates from Franz Friedrich Wilhelm von Fürstenberg, an important and influential statesman in the prince-bishopric of Münster in the second half of the 18th century. 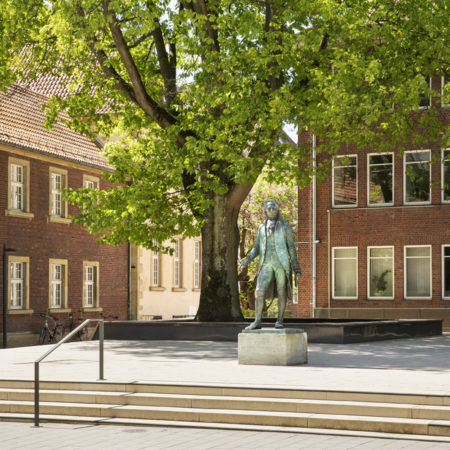 The Fürstenberghaus today houses the Faculties of History and Philosophy at the University of Münster. 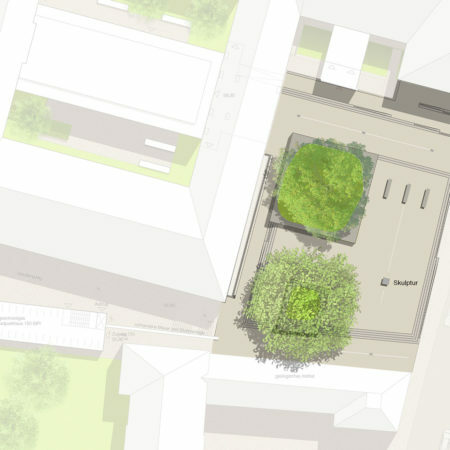 An annex to the existing museum in the inner courtyard as well as the problem of finding a solution to the rampant wild parking of bicycles, made the re-design of the square necessary. 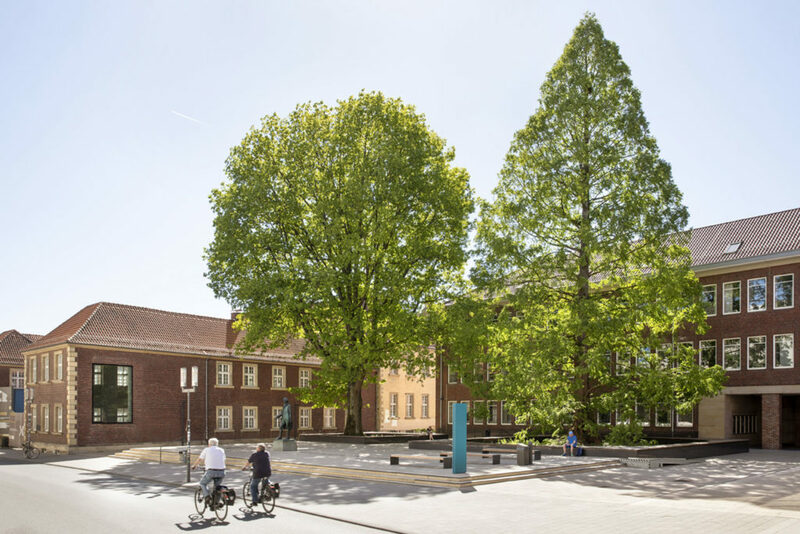 The great potential of this clearly defined urban space in a central location is being represented by the over 20m high dawn redwood – a natural monument – and right next to it a mighty red oak. 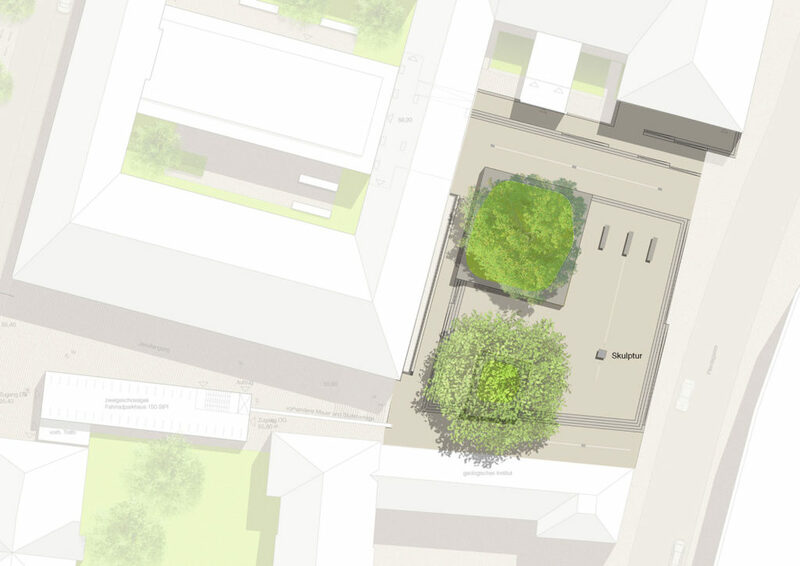 Our conceptual design preserves and protects the trees in the long term, and integrates the trees as essential elements in the new layout of the square. 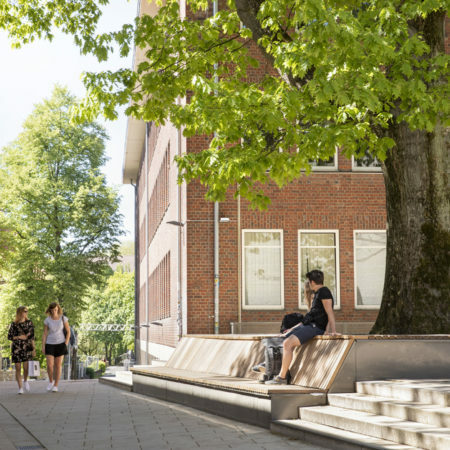 This creates a versatile urban space with a greatly increased welcoming quality of a stay in that area. 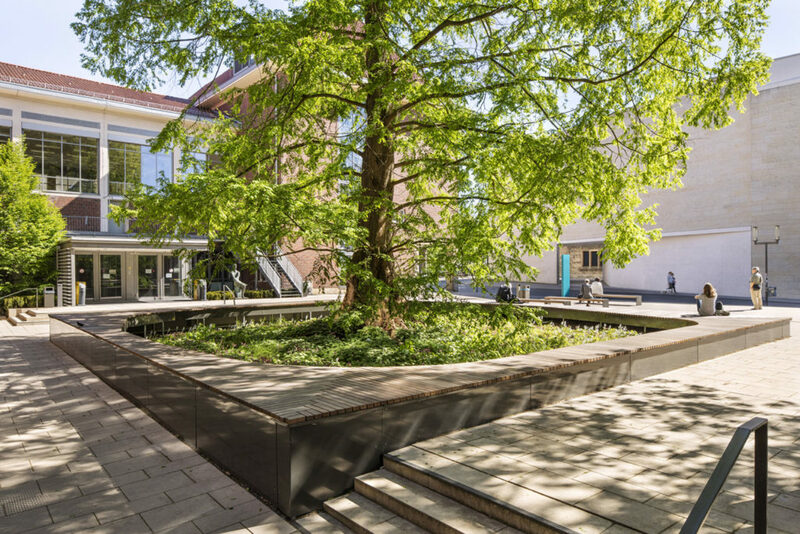 The new layout is characterized by an expansive plateau with surrounding steps, which still ensures to allow a barrier-free access of the surrounding buildings. 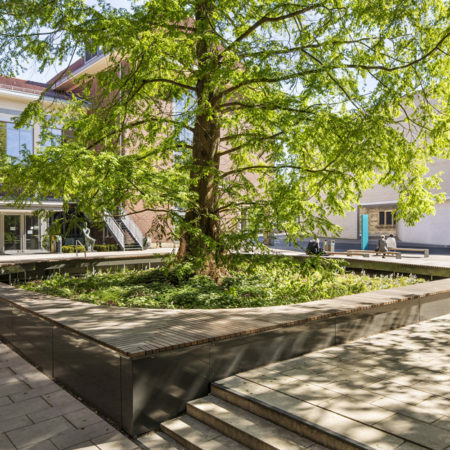 The steps surround and frame the elevated location of the old trees, creating a place to stay protected and secluded from the surrounding spaces, and providing a natural barrier to wild bicycle parking. 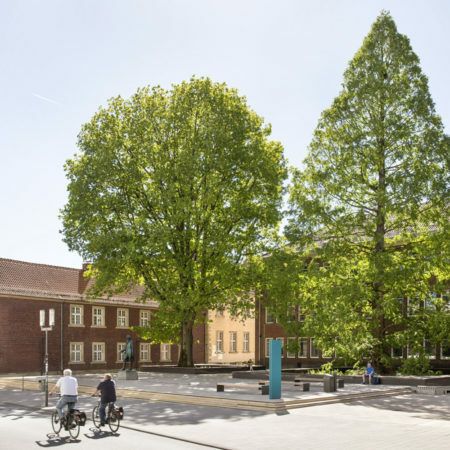 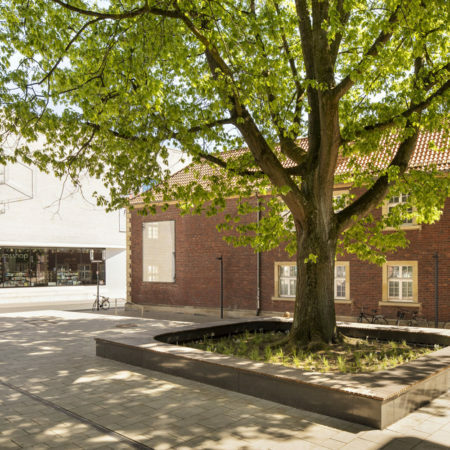 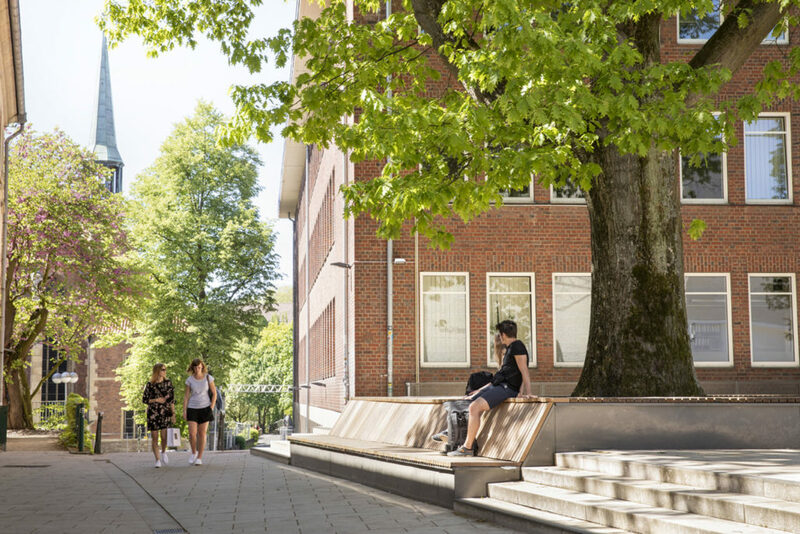 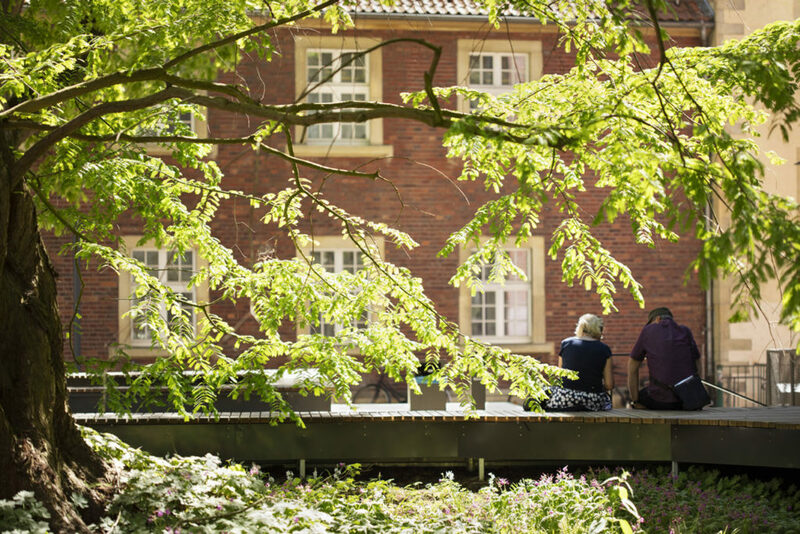 Spacious wooden seating platforms underneath the mighty trees protect the trees’ roots and provide shadowy seating opportunities for students and for visitors of the museums and the city centre. 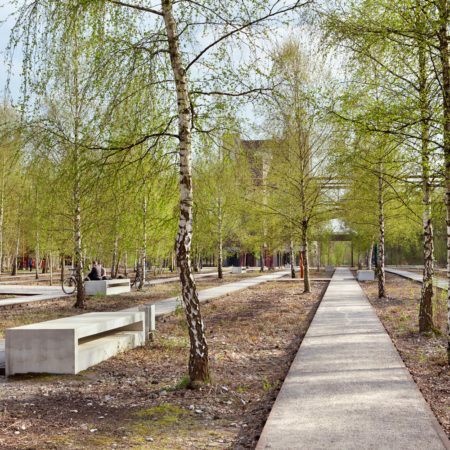 Both tree grids are planted with perennials, grasses, ferns and bulb flowers. 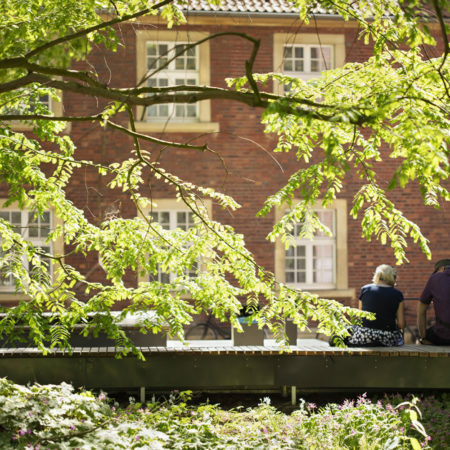 The seasonal selection of plants provides an attractive and diverse planting. 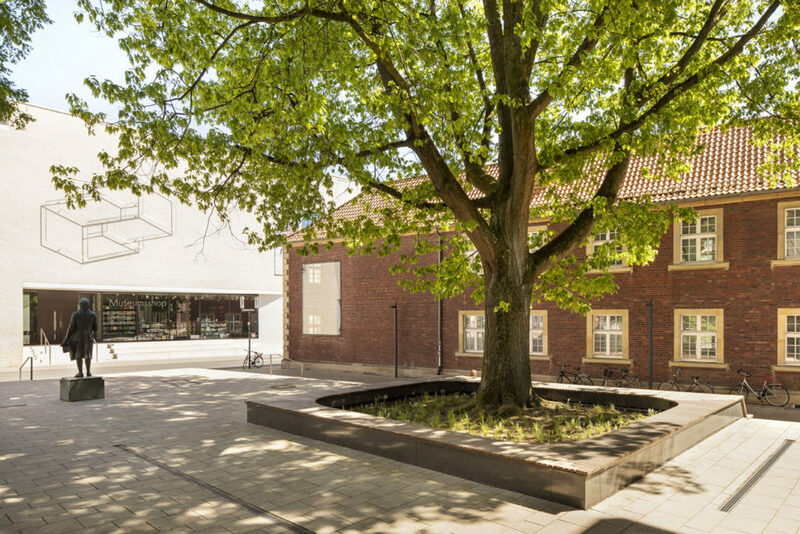 The new square is a sublime place for retreat, encounter and welcoming stopover in the middle of the urban historic city centre. 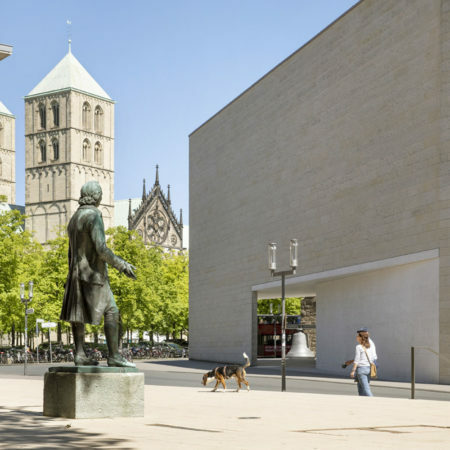 Another central element of the square is the sculpture of Franz Friedrich Wilhelm von Fürstenberg, which has been prominently positioned on the plateau. 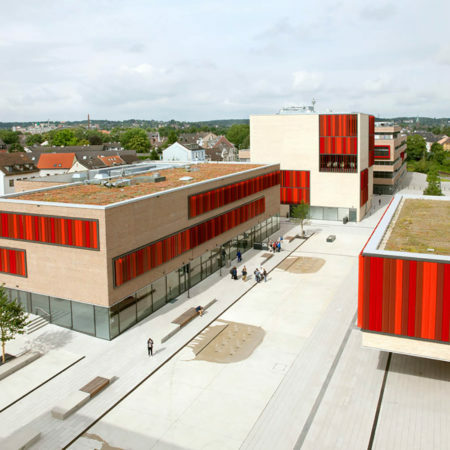 As flooring, sandstone coloured concrete block was selected. 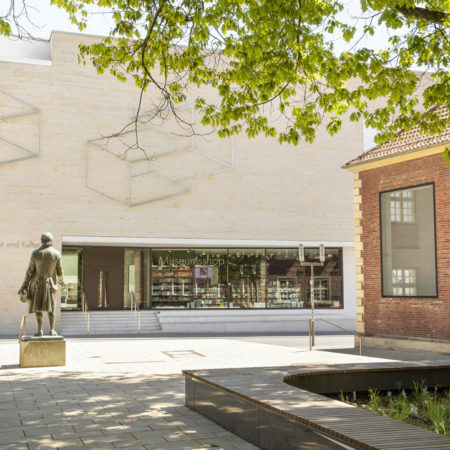 The flooring colour and format are based on the sandstone of the plinths and window casements of the historic buildings, and correspond with the façade of the LWL Museum of Art and Culture. 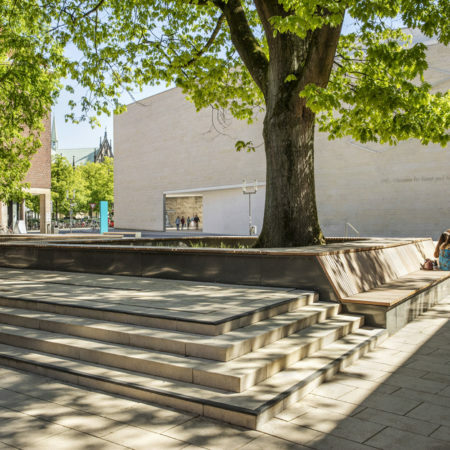 The same shade of colour was also chosen for the steps – the plateau hence seems to have been constructed out of one single cast unit and the visitor experiences an unruffled location dipped in warm colours. 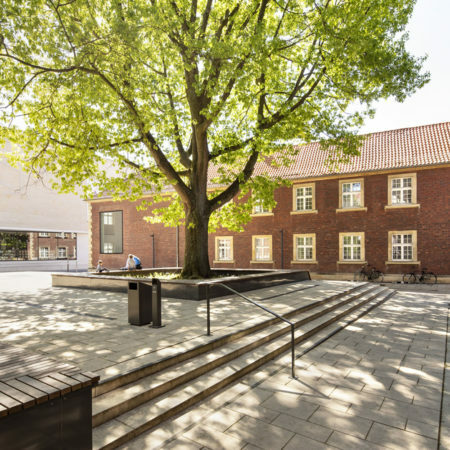 Façade spotlights and mast lights provide the functional illumination of the connection path to the lake Aa and to the entrances of the adjacent buildings. 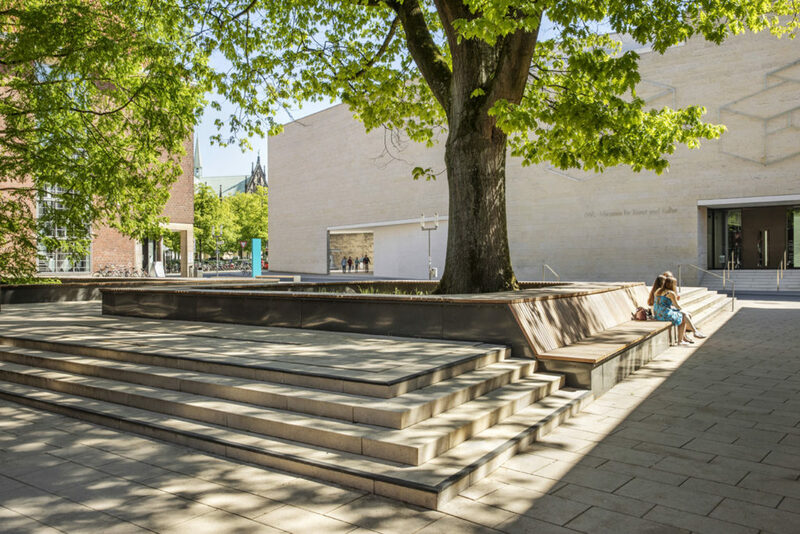 On the plateau itself, only the Fürstenberg sculpture and the corners of the seating platforms are accentuated. 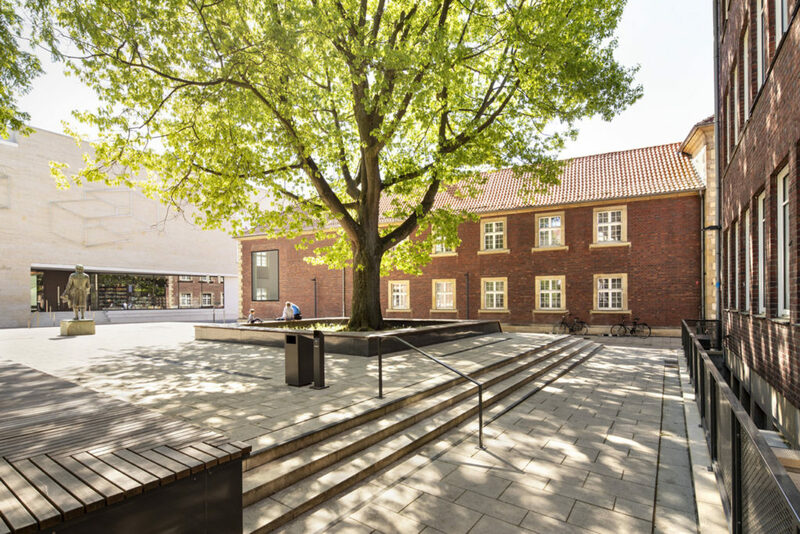 The new square at the Fürstenberghaus, as well as the public sidewalks at the LWL Museum of Art and Culture, will now remain free of bicycle parking areas. 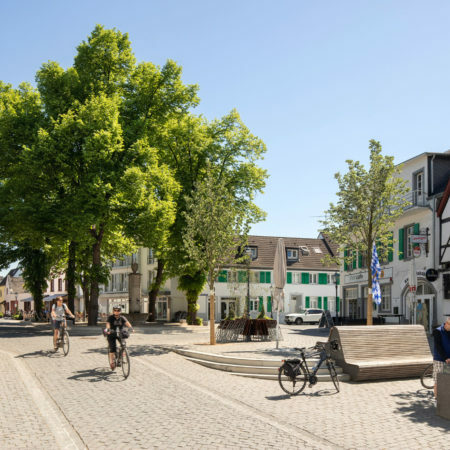 A bicycle parking garage will be built laterally to the connection route to the lake Aa in a second construction phase in order to cover the high demand for parking spaces. 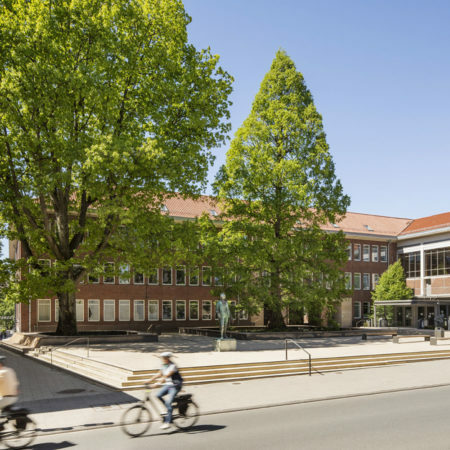 The upper floor of the bicycle garage will be reached via the same level from Fürstenbergplatz, the basement will be reached via the lower Johannisstraße.